Orange Tip Butterfly. A white butterfly with an orange tip to the wing, hence the name! 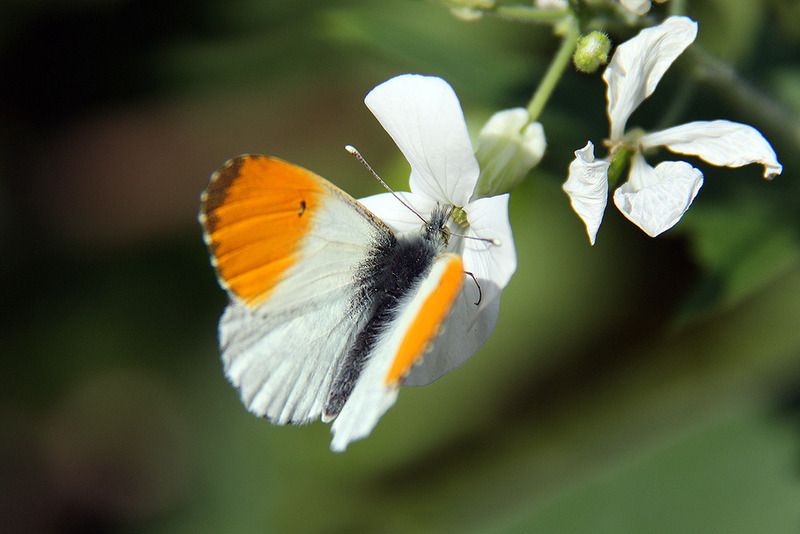 Cool fact; only the male Orange Tip has an orange tip… the female is white with a grey tip to the wing. 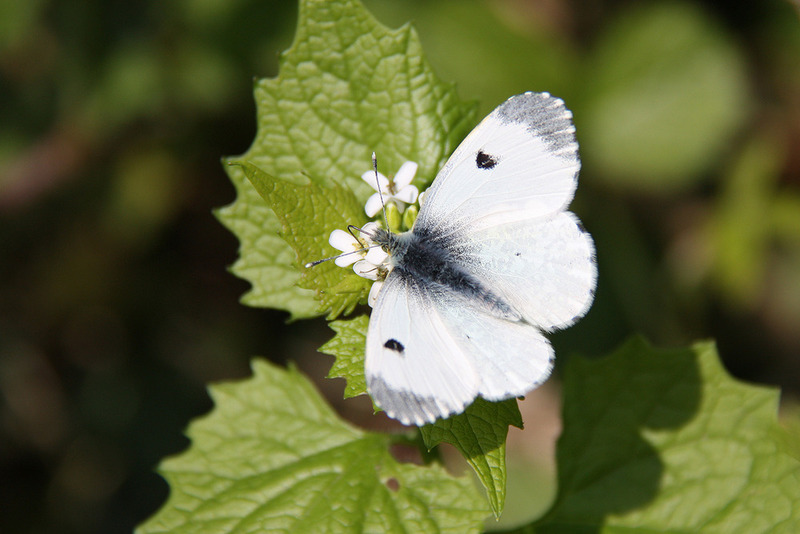 Orange Tips, Small Whites, Commas, Brimstones… great weekend for butterflies, paddling pools and bbqs.